Massage therapy, once only available through luxury spas and upscale health clubs, today is offered in businesses, clinics, hospitals and even airports. 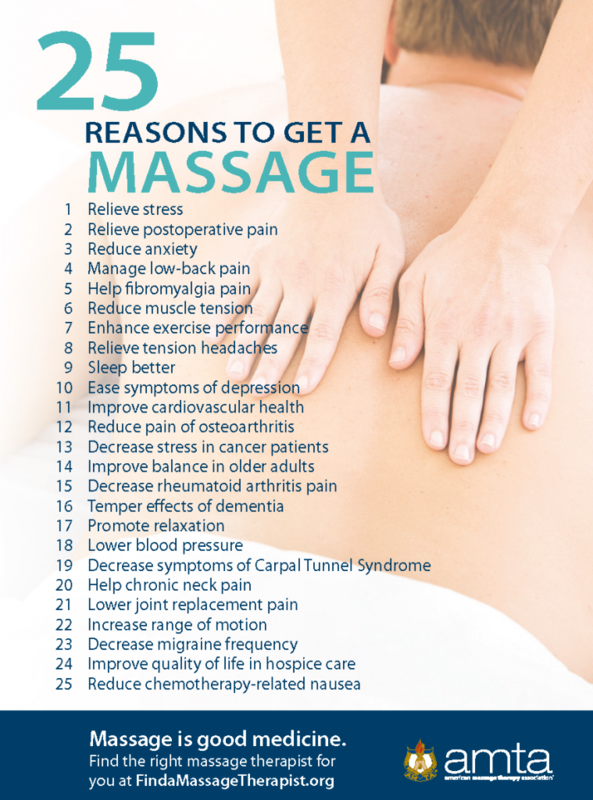 If you’ve never tried massage, learn about its possible health benefits and what to expect during a massage therapy session. A massage session may last from 10 to 60 minutes, depending on the type of massage and how much time you have. No matter what kind of massage you choose, you should feel calm and relaxed during and after your massage.